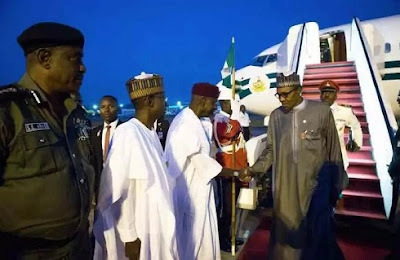 He arrived Nigeria in the early hours of this morning at the Kaduna Airport where he was flown by helicopter to the Presidential Villa, Abuja. President Muhammadu Buhari has arrived Nigeria after an extended medical leave in the UK. He had originally planned to stay 10 days but stayed longer to rest on the order of his doctors. Due to some unexplained medical reasons, the president stayed back until today before making a much anticipated arrival. 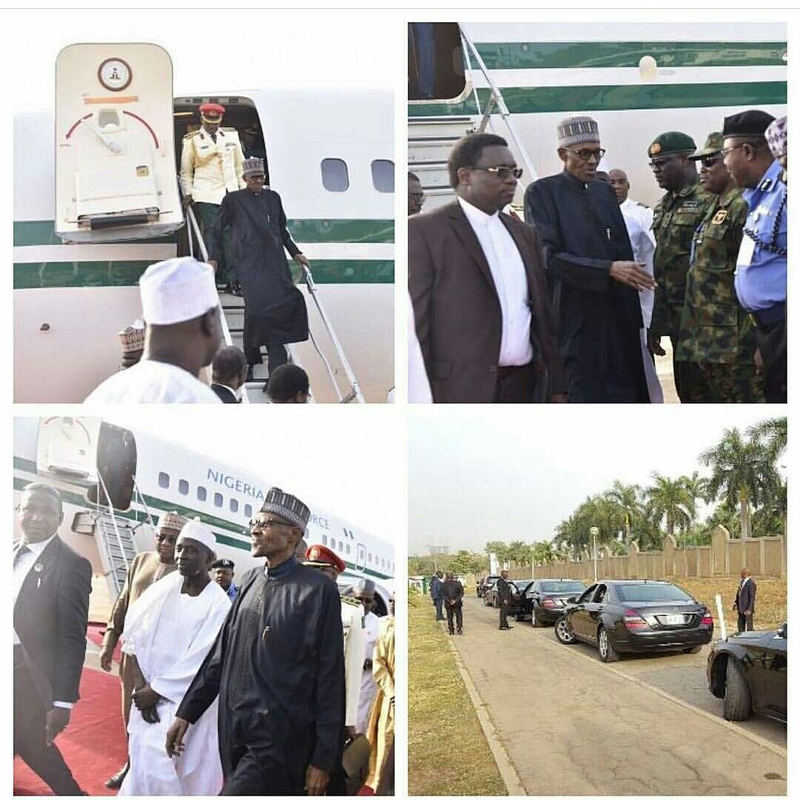 Following the circumstances surrounding his leave, President Buhari is expected to address the nation later in a press conference.